After all the hype, the Formula One Teams Association (FOTA) has produced its list of suggestions for changes in F1, just as promised. There were no representatives from Force India at the meeting (perhaps they are taking it that travel costs deserve to be cut as much as anything else) but the presence of Ross Brawn gives much fodder for the eternal speculation on the survival of the Honda team (there will be an end to the saga, surely). Monty the Molo was there, however, making all the right noises about FOTA unity and shared goals, all for the good of F1. The proposals themselves are an odd mix, ranging from the expected to the pointless. We all thought that the drive towards lowering costs would continue and, sure enough, most of the technical points are concerned with this. But then, buried amongst the sporting suggestions, there is a request to shorten the length of GPs - with no reason given, not even a wave at the market survey supposedly driving many of the proposals. I am tempted to think that this one has more to do with the increasingly strict limits being imposed on the number of engines allowed in a season than with improving the sport or "show". If the engines have to last for more races, let's make the race mileage lower, goes the thinking. FOTA are already showing the signs of decision-making by committee with necessary and sensible points being negated by the introduction of silly ones. For example, the suggested points awarded for race finishes is an obvious improvement to the existing system, increasing the value of a win while retaining incentive for the lower places. But this is immediately watered down by the desire for points-scoring in all sorts of unlikely areas. The teams want points for the fastest pit stop, apparently, as though this was not an area already rewarded by finishing higher up the order; Mickey the Shoe and his buddy Brawn showed us long ago that races can be won or lost by the performance of the pit crew. Such things do not worry me too much as long as they are limited to the Constructors' Championship - no one cares too much about that anyway. Remembering Martin Whitmarsh's earlier thoughts on qualifying format, however, I get scared when the committee signals a desire to mess with that area. When FOTA get to the commercial aspects, they are on firmer ground and hit the most obvious of improvements. The trouble is that half of the suggestions could very easily be implemented by the teams now, without reference to the FIA, and the rest depend upon the compliance of Mr Ecclestone and his commercial interests. Considering that Bernie is still hot on such details as the use of the term "F1" by anyone other than FOM (as USF1/USGPE found out this week), despite the fact that he holds no copyright over it, how likely is it that he could be persuaded to provide more access to such things as video of the races? Overall, the list is a curious concoction of good sense, bad ideas and wishful thinking. I suppose this is only to be expected when much of it is justified by a survey that limited the participation of genuine F1 fans to a paltry 25%, preferring the opinions of the occasional viewer and those who will never watch anyway. Of course, the idea is to see if there is a way to increase the numbers watching but I would suggest that the existing audience needs to be retained first. Turn the thing into a freak show if you will but do not expect the real fans to remain loyal - even they have their limits. Bad penny & curates egg, eh. Right Reverend Host: "I'm afraid you've got a bad egg, Mr Jones!" 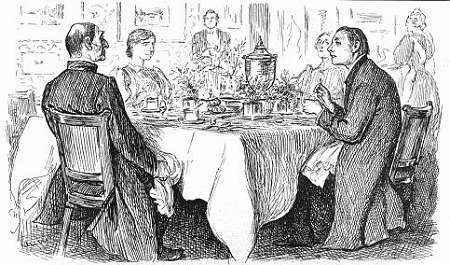 The Curate: "Oh no, My Lord, I assure you! Parts of it are excellent!" A curate's egg is thus something that has good and bad parts but is spoiled nevertheless. I can't imagine any one person coming up with this list. FOr what it is worth I think the race distance cut is there to be negotiated away. Bernie is not going to give up all those ad slots that allow TV companies to pay CVC so much and FOTA knows that. I did watch the list of suggestions, and I do agree with the majority: they are good and it will go with the tendency of our days: cutting costs, so that new teams can enter on this competition. About the issue of the length of races, I do not understand the reason of cutting in twenty minutes the maximum time. Why is that? To spare the components of the stress of races, so it can hold it longer time? You know, a shortening of time can probably open the ideia of a double weekend, like it happens nowdays with other competitions, like GP2 or A1GP. And for that, thanks but no thanks! 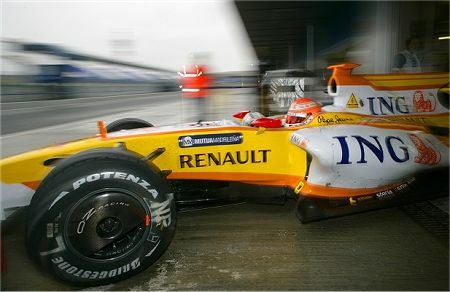 One final issue, something that I was talking a while ago to a brazilian journalist: today it was published the news that Belgian GP had a damage of 2.8 million euros em 2008. Probably, in a time of crisis, if there is another race with the same result, they will go out. In a time of crisis, I doubt that it will be a race with profit on this season. And the race tickets, on a weekend, are too expensive, it costs, in some situations, a half month's salary or even worse. I think it's an issue worthable to discuss, don't you think? I'm sick of all these gimmicks (points for pit stops?) that are meant to "improve the show" because, "after all, we're in the entertainment business". Formula One should be a pure engineering and driving competition within a given formula, one which should be the fastest in the world. If money can be made around the competition, great, especially if it means more amazing technology, but the sport should not simply exist to line the pockets of FOM and Bernie Ecclestone and create super expensive, tiny billboards for manufacturers, banks and oil companies. Of course today's suggestions come from the teams who seem also to have gotten caught up in the "entertainment" scheme. Who will be left to defend the idea of F1 as a competition? In light of last week's post about Honda employees and people that are happy doing what they like, the word around brazilian press is that Barrichello is only getting payment for travelling bills and points scored. So I guess at least someone is willing to work for Brawn just to be part of F1. Steven: You're probably right. How I wish that the idea of bargaining counters would leave F1 forever and the powers that be just get down to straight talking. I hate politics. Speeder: I agree that the issue of circuits beinmg unable to pay Bernie's inflated prices is one of the most important facing F1 today. Presumably, FOTA feel that there is little they can do about this since it is essentially a matter between Bernie and the circuit owners. They are happy to suggest changes in the broadcasting of the sport, however, and they have no direct influence in that area either. A note regarding the plight of the circuits would certainly not have gone amiss. Nick: The answer to your question is becoming pretty obvious - it's thee and me. It seems that only the fans care about the survival of the sport as the great competition it has always been. I get heartily sick of hearing "the show" used as justification for rule changes that are turning the sport into an amusement park. Lee: What can I say? I agree totally. Filipe: Good point - the Barrichello rumour is today turning up on various sites on the net so there may well be truth in it. And, if Rubens really is working just for travel expenses and points scored, it shows just how much the best F1 drivers want to compete at the highest level. Good for Rubens, say I - maybe he will set a new trend.